The list of inventions that are credited to the ancient Chinese is long and note-worthy. Several great series of picture books dramatize these moments of invention and are great books for inspiring your young inventors and artists. 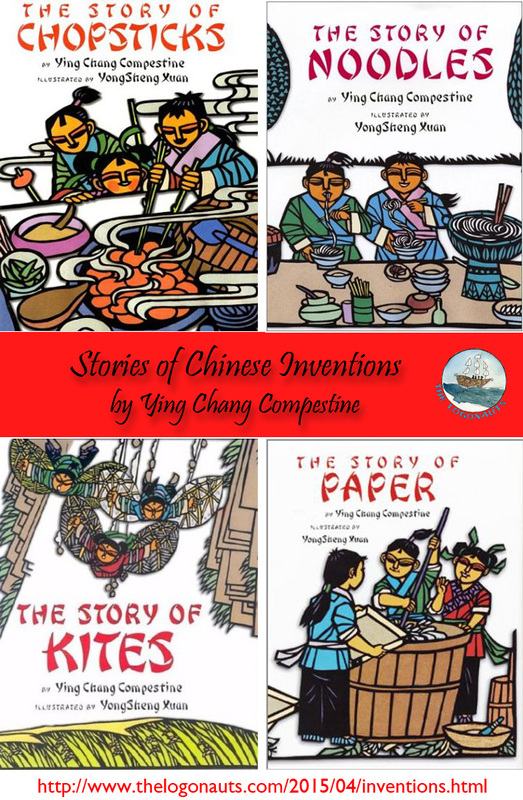 Chinese-American author Ying Chang Compestine has written a series of books about Chinese inventions. Each book features the Kang family: Mama, Papa, and three boys, Ting, Pan, and Kùai. Kids will love seeing how the antics of the three boys fits with these inventions. 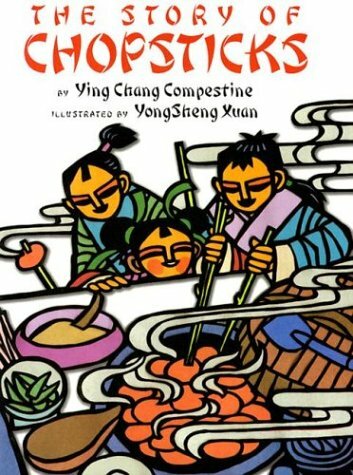 The Story of Chopsticks (2001) imagines the circumstances surrounding the invention of chopsticks. The three Kang brothers, Ting, Pan, and Kùai, are all hungry, growing boys. Kùai, the youngest, is frustrated by having to wait for food to cool down until it was safe to eat with your fingers. A few twigs later, he invents the first chopsticks! But when the boys bring their new invention to a wedding feast, they find themselves at odds with the elders. The Story of Noodles (2002) Though it seems unlikely that noodles were invented because, "'We wanted a food that is easier to clean up after food fights,'" kids will enjoy this story of how an accident with dumplings leads to the possible invention of noodles, which had originated in China by the first century. 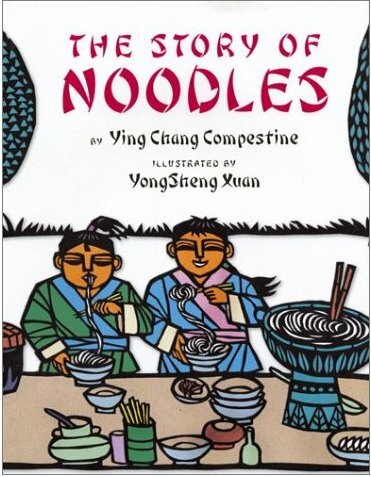 The Author's Note explains some of the history and customs of noodles and includes a recipe for Long-Life Noodles. The Story of Kites (2003) In this story, the poor Kang brothers are tired of constantly having to scare the birds away from their rice crop. First, they decide to try making their own wings, with predictably disastrous consequences, but eventually their designs lead them to the first kites. Kite-flying has been documented in China more than twenty-four hundred years ago. 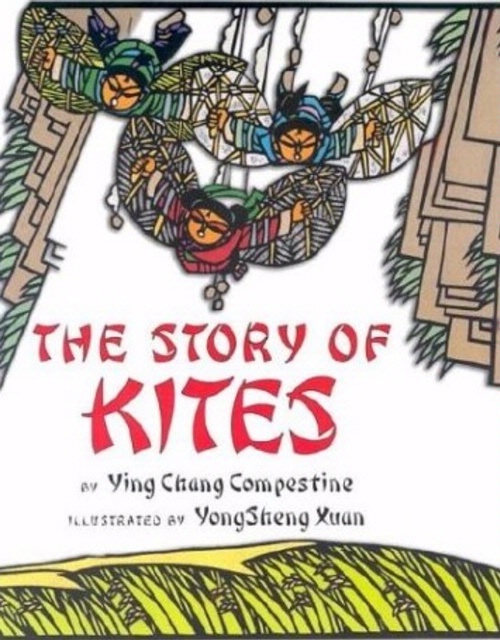 The book ends with an Author's Note and directions on how to make and fly your own kites. 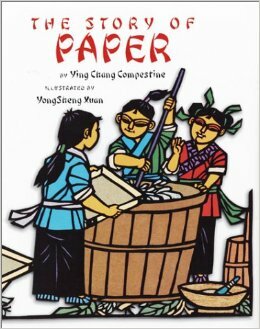 The Story of Paper (2003) The Kang boys are not doing well in school and are blaming the bugs and insects that distract them as they are practicing their writing in the dirt. After much experimentation, they hit upon paper. The Author's Note includes a detailed description of the oldest paper and its introduction to the Chinese emperor, as well as directions for making homemade "garden" paper. 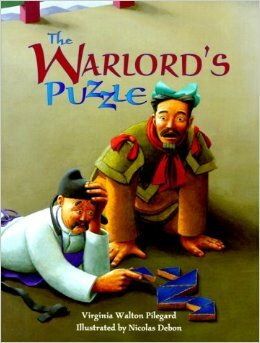 The Warlord's Puzzle (2000). An artist brings a beautiful blue tile before the Warlord, but it drops, breaking into seven pieces. When no one can put the tile back together, the Warlord agrees to hold a contest. This accident becomes the invention of the tangrams, so named for their connection to the Tang dynasty. 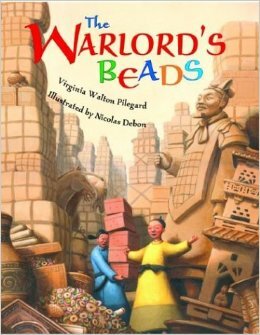 The Warlord's Beads (2001). The peasant and his young son now live in the warlord's palace, but the father has been tasked with counting the warlord's vast treasure. Worried that they keep losing count spurs his son, Chuan, to invent the first abacus. The Author's Note describes the first documented use of the abacus in 14th century China and includes directions for making your own abacus. 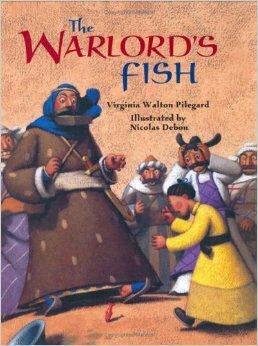 The Warlord's Fish (2002). The artist and his young apprentice, Chuan, are kidnapped by a group of traders and taken out across the wilds and into the vast desert (along the Silk Route and through the Takla Makan, though the names are not used). When a sandstorm blocks the sun and clouds block the stars, Chuan convinces the artist to use his south-pointing fish to help them find their way to the oasis. The Author's Note explains that the Chinese invented a south-pointing compass made of a magnetic spoon by the third century BC(E) and includes directions for making your own floating compass. 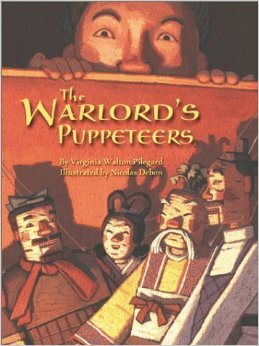 The Warlord's Puppeteers (2003). Chuan tries to help a group of traveling puppeteers, after a bandit raid seizes their puppets. This book focuses on introducing children to the concepts of proportion and includes directions for making your own sock puppets. 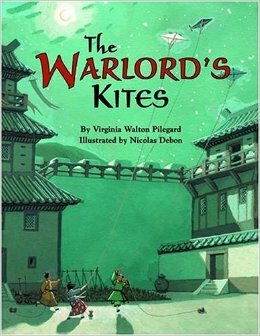 The Warlord's Kites (2004). Chuan and his friend Jing Jing are concerned about the approach of an enemy army and conceive of the idea of using flutes attached to kites to frighten them off. In this story, Jing Jing takes a starring role as the inventor and quick-thinker. Directions are include for handmade kites. 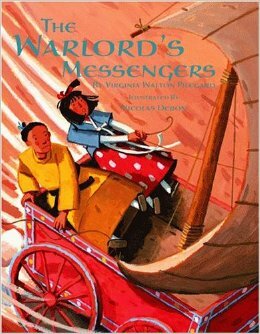 The Warlord's Messengers: a mathematical adventure (2005). Young Chuan and Jing Jing are concerned when an invitation arrives for the warlord, but he will not receive the message in time. The friends brainstorm a faster way to travel and invent a wind-driven carriage. These "sailing carriages" were mentioned in Chinese literature 1500 years ago. The book ends with directions for creating a wind sock (another Chinese invention). 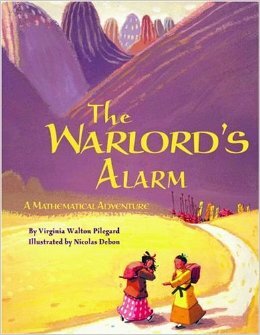 The Warlord's Alarm (2006). This story seems to take place immediately following The Warlord's Messengers. Chuan and Jing Jing are accompanying the warlord on his trip to visit the emperor, but in order for the warlord to arrive exactly when the gates of the city open, they need to figure out a way to keep track of time during the night, when a sundial is useless. The invent a water clock, and the Author's Note describes some of the complicated water clocks used by the Chinese. There are also directions to make your own dripping water clock. 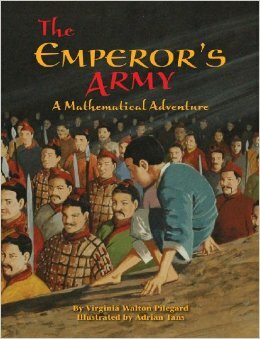 The Emperor's Army: a mathematical adventure (2010). A bit of a departure from the rest of the series, this book tells the story of a father and son in court of Chinese emperor Qin Shi Huang who are forced into hiding by the emperors proclamation against books and scholars. This leads them to discover the building of the emperor's famed terracotta warriors, and the Author's Note includes information about their eventual re-discovery. I've only seen one of the Maths series and always meant to get hold of more... and Ying Chang Compestine's books look great - thank you for highlighting these! Absolutely, Marjorie. 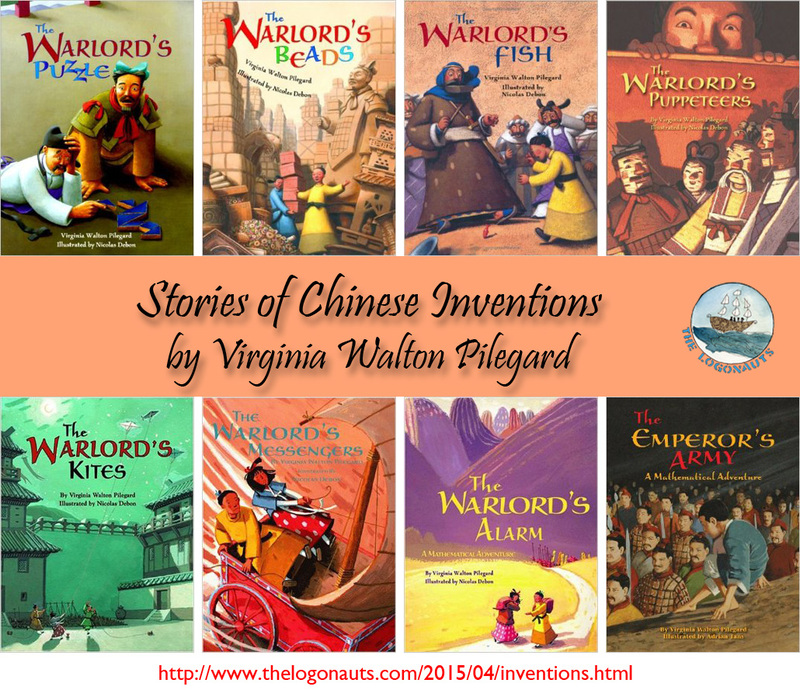 I usually read aloud The Warlord's Puzzle and The Story of Chopsticks to students, and there are always many eager to dive into the rest of the books.